Rushden Town Council is very pleased to present our second 'Celebrate Rushden' week of events, albeit it is really our 7th year since we started in 2013 with 'Get to Know Rushden'. the big change this year is that with the Soap Box Derby getting larger, we have moved it to a Sunday to give much more time for the races. There will also be some displays in the park and other attractions on the day. So please bring the family along for a fun afternoon. We hope you enjoy the diverse programme we have to offer and hope that you enjoy all the events you attend. Armed Forces Day will take place on Saturday 22 June and is an opportunity for local people to come together and show their support for the Armed Forces. The June event has developed into a full weekend of activity, Rushden celebrates with a full parade through the town, stalls, displays, steam train rides and a Service of Remembrance taking place on Sunday. Taking place on Saturday 13 July in Hall Park, Party in the Park provides an exciting opportunity for all the family to enjoy a wide range of free summer of activities including arena events, community singing, dancing and an evening concert. Join in the music and relax in the Walled Garden at Hall Park on Saturday 11 August. Proms in the Park in a local Mayoral event on Saturday 7 September. 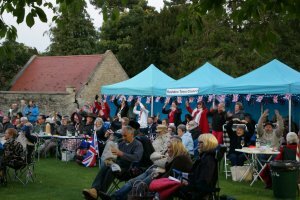 Bring along your own picnic, blanket, champers and enjoy the patriotic favourites of the Proms. 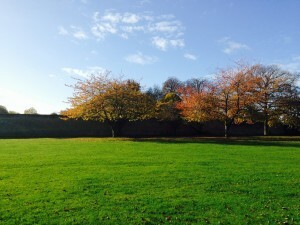 Bark in the Park is held in the Walled Garden at Hall Park on Sunday 8 September. 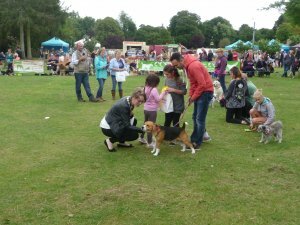 Lots going on, so bring your dog along and enjoy the fun on the day! A Fun Fair taking place in Spencer Park, Washbrook Rod from Friday 13 September to Saturday 21 September. The 'Rushden Feast' custom stretches back over a hundred years, traditionally making a holiday for shoe factory workers. 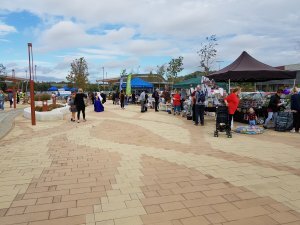 A fun filled family day, with an opportunity to learn more about the Town's heritage, takes place at Rushden Lakes on 15 September. A mix of local business and community stalls, family entertainment and music will be available on the day. The Royal British Legion Garden of Remembrance Dedication Service takes place on Wednesday 6 November at the Town's War Memorial. 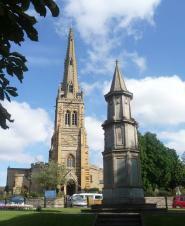 On Sunday 10 November at the War Memorial and St Mary's Church, Rushden. 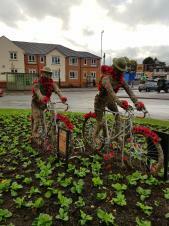 Organised by the Royal British Legion. 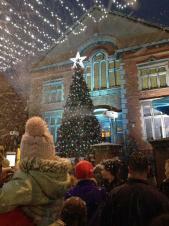 A fun family day celebrating the festive season on Saturday 30 November in the High Street. If you are a pensioner and at a loose end on Tuesdays, come and join us at Rushden Hall between 2pm and 4pm. Have a laugh, learn at leisure from one of our many guest speakers, stuff yourself silly at our annual dinner, win prizes at bingo or play whist. 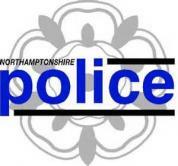 Please see the Rushden Hall Pensioners Club website for more details. HTML5 validated. WCAG compliant. Page generated in 0.1168 seconds.